Spandau: it's that district at the end of the U7 line where you'll find a pretty little old town and an imposing fortified citadel. 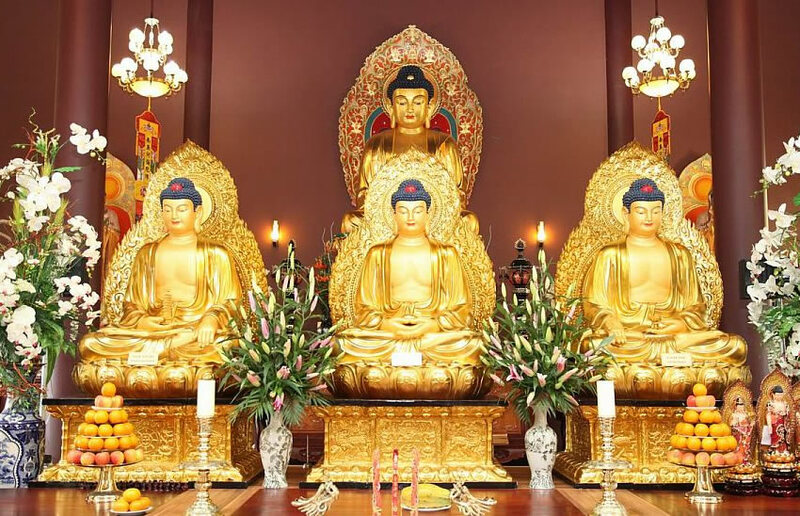 Not to mention a gorgeous buddhist temple nestled on the edge of an industrial estate. 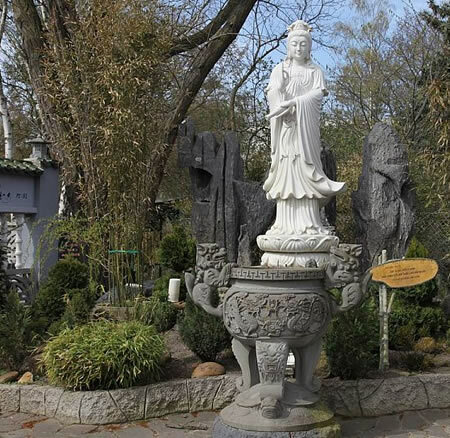 The Linh Thuu Pagoda was built by Berlin's Vietnamese buddhist community, and besides being a place of worship, provides an exotic oasis in a rather dreary street. Constructed in traditional style, the elaborate walled pagoda is surrounded by an oriental sculpture garden designed to aid contemplation. 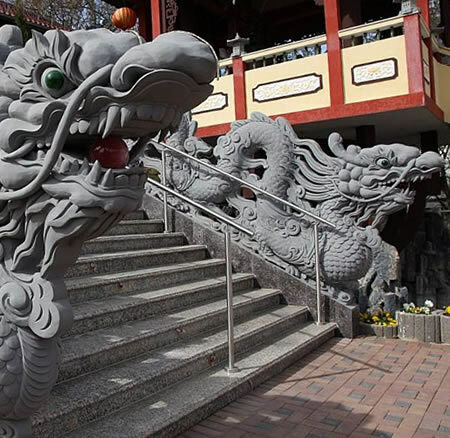 A staircase flanked with carved dragons leads into the temple itself, where a heady smell of incense hangs in the air and huge golden Buddhas gleam in the soft light. You'll need to remove your shoes before entering, but the marble floors are heated in winter - this is one of Berlin's newest places of worship as well as one of its most beautiful. 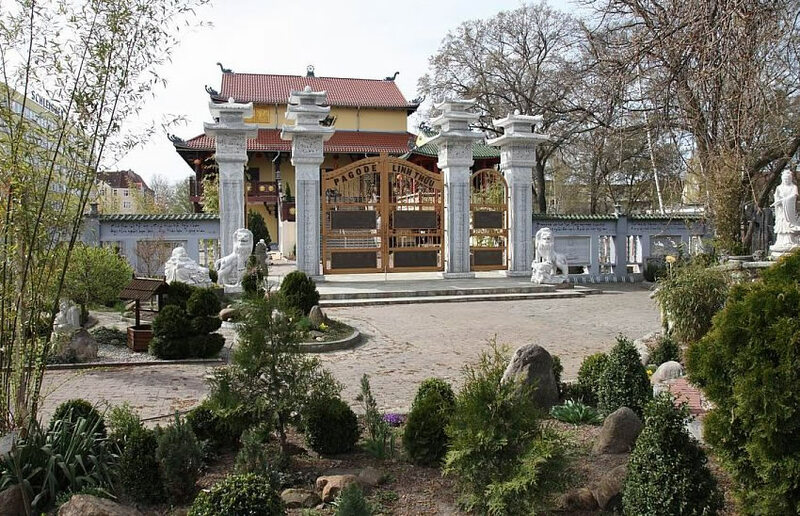 In fact, a visit to the Linh Thuu is just like taking a tiny trip to the Far East, and certainly worth considering if you happen to be in Berlin's far(ish) west. You might even have passed by before without knowing - IKEA, that other temple of cheap, cheerful homeware, is literally just down the road. 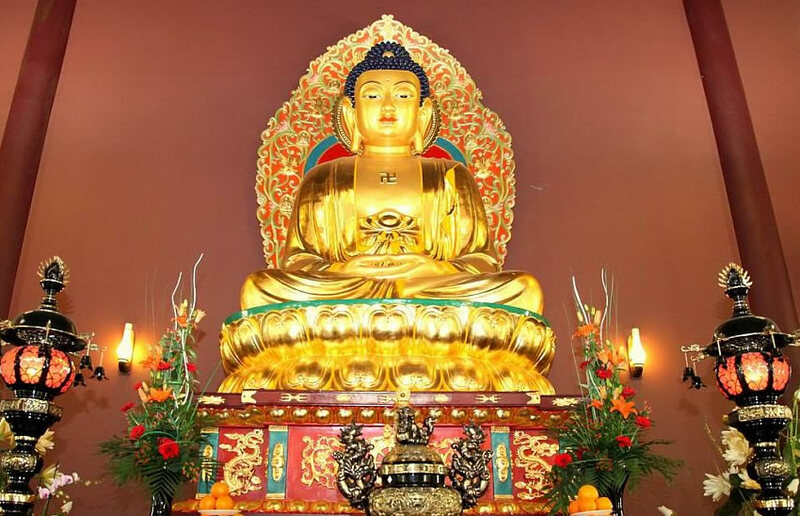 Linh Thuu Pagoda: Heidereuterstraße 30, 13597 Berlin.